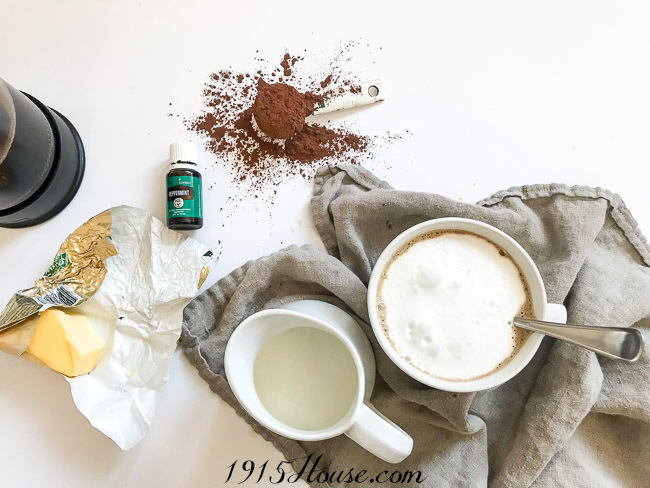 This low carb peppermint mocha bulletproof coffee has been a long time favorite of mine. Creamy, nourishing, and delicious. Some days I love taking the time to make a proper breakfast, puttering about the kitchen, scrambling eggs, frying bacon, or making a hot bowl of oatmeal. And some days I either don’t have the time or just plain don’t feel like eating…but I know I need something to fuel my day. 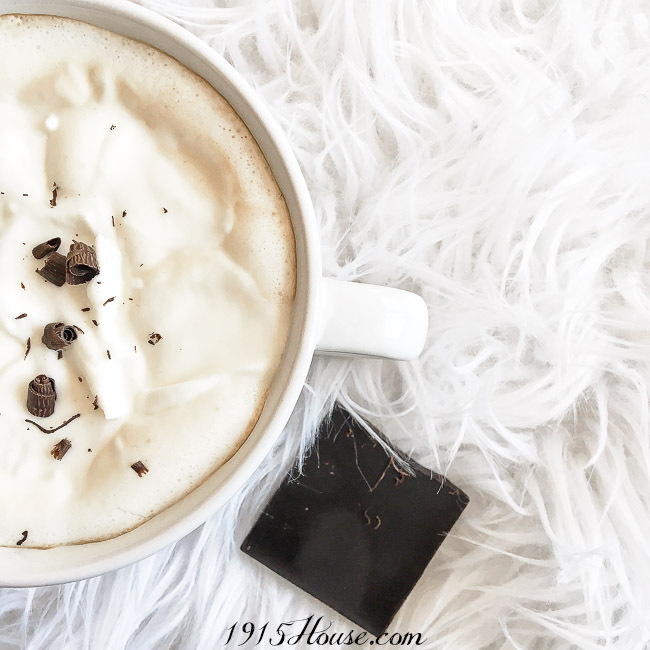 Enter my version of bullet proof coffee: Low carb peppermint mocha bulletproof coffee. 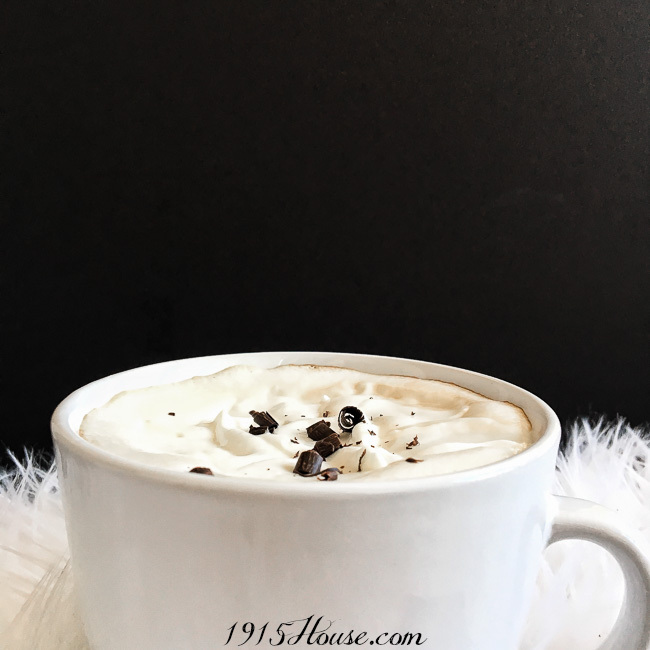 While the original BPC is yummy, I like to add a few extras to recreate the flavor of my favorite peppermint mocha from back in the day when I used to consume sugar. But that’s a whole other story. Let’s get right to the recipe. Place all the above ingredients (except the whipped cream) into a large blender jar and blend for about 10-15 seconds. 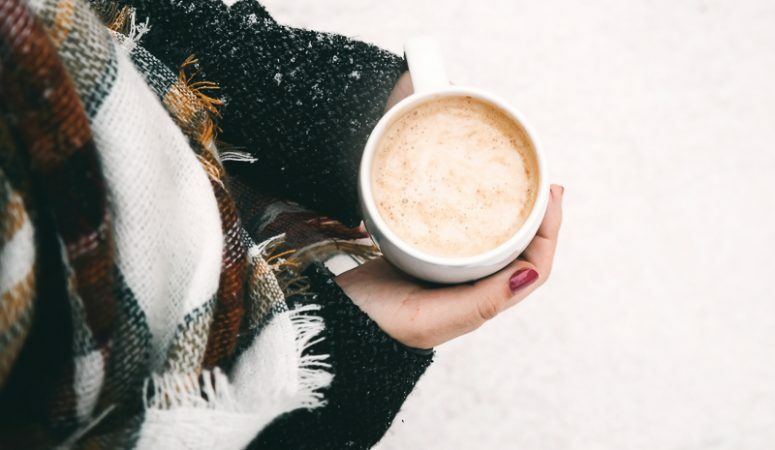 Be sure to hold the lid tightly and always exercise caution when blending hot liquids. Carefully remove blender lid and pour into your waiting mug. and sometimes I keep it simple and just leave it as is. There’s no wrong way to enjoy this goodness. Unless you forget to add the cocoa powder. Like I did when taking photos for this post. Sometimes I crack myself up and just have to share my foibles. And this is after I already spilled coffee when I was pouring and trying to take a photo at the same time. Bless. Kim: didn’t have a Fast Friday Fix this week, but head on over to see what she’s been up to! I’m going to try this recipe out, minus the butter. I’ll just substitute with vegan butter. That should totally work! I hope you enjoy it as much as I do! 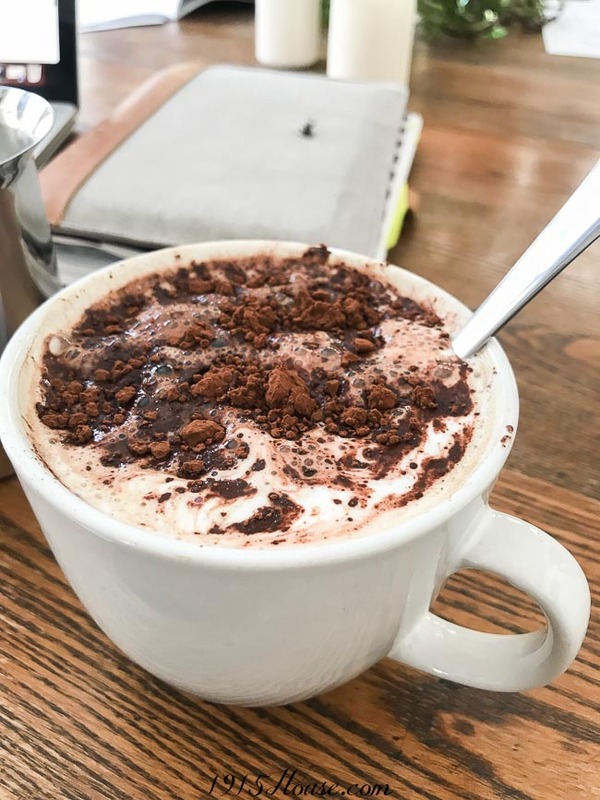 🙂 happy sipping!